• visiting Ansbach, Augsburg, Basel, Bern, Breslau, Frankfurt-am-Main, Freiberg, Hanover, Leiden, Leipzig, London, Mannheim, Munich, Nuremberg, Paris, Regensburg, Rome, Strasbourg, Stuttgart, Venice, Würzburg, Zurich. • Louis XV (1710 - 1774) in Versailles. 12’ (3.66 meters) long, head to rump (excluding tail). portraits in beaded textiles and on continental coins. writers Denis Diderot’s (1713 - 1784) and Jean Le Rond d’Alembert’s (1717 - 1783) Encyclopédie, Oliver Goldsmith’s (1730 - 1774) History of the Earth and Animated Nature, Georges Louis Leclerc’s (1707 - 1788) Histoire Naturelle, and Samuel Richardson’s (1689 - 1761) Clarissa. Clara’s story indeed memorializes the world’s longest surviving rhinoceros in captivity. Carson, Mary Kay. 2007. Emi and the Rhino Scientist. With photographs by Tom Uhlman. Boston, MA: Houghton Mifflin Company’s Scientists in the Field series. “Clara: A Brief Biography.” The J. Paul Getty Trust > News > Press > Oudry’s Painted Menagerie. Retrieved August 2015. Crossland, Pamela. 2006. 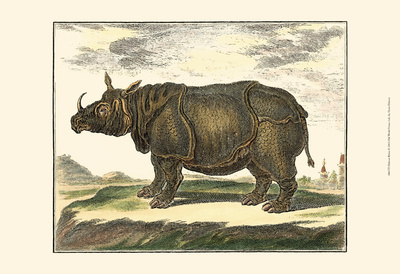 “Clara’s Grand Tour: Travels with a Rhinoceros in Eighteenth-Century Europe.” Curled Up with a Good Book. Retrieved August 2015. Holmes, Mary Tavener. 2007. My Travels with Clara. Illustrated by Jon Cannell. Los Angeles, CA, U.S.A.: J. Paul Getty Museum, Los Angeles Getty Publications. Lahiri, Oeendrila (Dr.). 2014. The Dutch Histories of Chinsurah. New Delhi, India: Aishwarya Tipnis Architects. Morton, Mary G., and Colin Bailey. 2007. 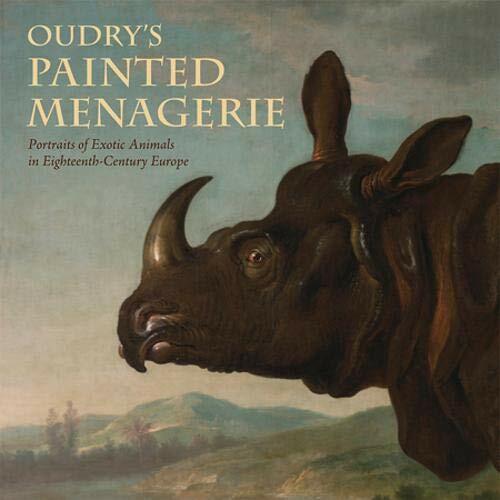 Oudry's Painted Menagerie: Portraits of Exotic Animals in Eighteenth-Century Europe. Los Angeles CA: J. Paul Getty Museum. Pollak, Lisa. 24 April 2005. “Clara, the Traveling Rhino, Belied Species’ ‘Brutal Beast’ Image.” The Baltimore Sun > Entertainment. Retrieved August 2015. Rookmaaker, L.C. 1973. 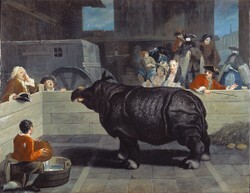 "Captive Rhinoceroses in Europe from 1500 until 1810." Bijdragen tot de Dierkunde, Vol. 43, No. 1 (1973): 39-63. Simpson, Samantha. 9 Jun 2007. “Clara the Rhino.” Monkey Fur: Samantha Simpson’s Art Blog. Retrieved August 2015. Sullivan, Liam. 25 October 2007. “Book Review: Clara’s Grand Tour by Glynis Ridley.” Panorama of the Mountains: Liam Sullivan's Ideas and Reflections. Blog at WordPress.com. The Spring Loaded Theme. Retrieved August 2015. Weinberger, Eliot. 2007. “The Rhinoceros.” Rhino Resource Center. Retrieved August 2015. Wonfor, Sam. 3 August 2004. “On Horns of a Story.” SOS Rhino > News. Powered by Equitek Incorporated. Retrieved August 2015. A life-size portrait of Clara is massive centerpiece of Getty Museum’s 2007 exhibition Oudry’s Painted Menagerie. In her honor, the Getty produced My Travels with Clara, a picture book of true story of 5,000-pound animal and her Dutch sea captain owner. Mira, Evidently there have been efforts at captive breeding, which just have not been successful other than those regarding the northern white rhinoceros in the Czech Republic. Of the black, Indian, Javan, northern and southern white, and Sumatran rhinoceros species, only the southern white species is a bit further away from endangerment and extinction. My article on the northern white rhinoceros Nabiré's recent tragic death references the zoo's log of attempts, most of which succeeded. It's a very charming book, whose succinct but enjoyable and informative text and wonderful art make Clara's story come to life. 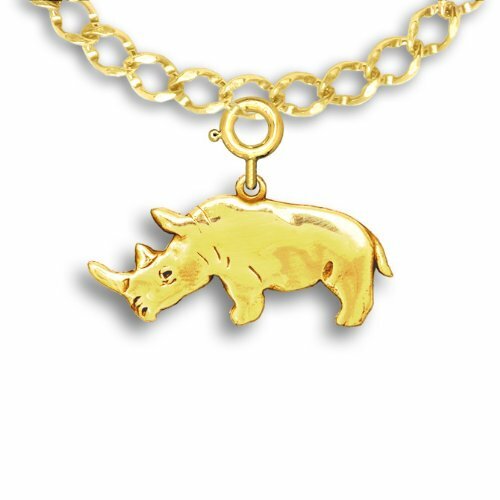 I had no idea that rhinoceros were that rare. Why didn't zoologists try to breed them more in captivity? Nice story about Clara, and great to have a book about her adventures! CruiseReady, Clara evidently had her sea legs and land wits about her since she impressed both of her owners and apparently every person she met in India and Europe. What a cool book for a kid - or anyone -to love. The part about her living on a chip for eight months really set my imagination running! Venetian Curiosities by mystery writer Donna Leon brings together seven each of Venice's favorite tales to hear on streets and of Antonio Vivaldi's concerti to listen to at events.